Sun-dried bananas and chilli paste are just some of the unusual ingredients that go into local craft beers. SIX LOCALLY brewed suds are to be crowned "leaders of the pack", when the country's first craft beer competition takes place next weekend. "We craft beer makers are like wolves that have been running wild for a while. It's time we had a leader," says Pipattanaphon "Pieak" Pumpo, one of the competition organisers and administrator of the "Craft Brewery is Not a Crime" Facebook page. "We've had many more local brands emerging over the last couple of years and many drinkers have shifted from imported craft beers to the ones made locally. At some point they wonder if the locally made craft beer is safe, has good quality and if there's any standard to it. This competition should showcase the standard of the beers we've made based on the guidelines by BJCP, which is an international organisation specialising in judging beers." 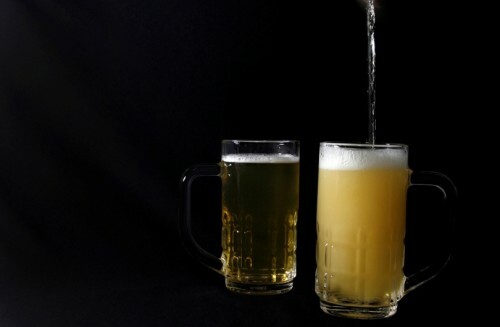 The competition is divided into six categories -wheat ale and wheat beer, pale ale, India pale ale, amber, stout and porter and an "open category", which includes mixed styles or beers using experimental ingredients. The winners will be chosen over the course of two days at Let The Boy Die and Cho Why bars next Friday and Saturday. "The scene has been dominated by two big beer brands for so long, so when craft beers were first imported to Thailand, consumers were really excited to try new things, though the prices are higher. Soon enough many of us realised that we could brew our own beers, in our own styles, and it's much easier now than a couple of years back," Pieak says. "A few years back I had to ask my brother in the US to ship hops and other ingredients to me. It was very expensive. Now you have several suppliers, which makes it more doable. Today we're seeing brews with sun-dried banana and chilli paste. Our own craft beer characters are definitely being developed." The only problem is brewing craft beer is not legal in Thailand. "There is a permit for microbreweries that allows you to sell, unbottled, on premises only, and a permit for an industrial scale but nothing in between," Pieak says. "So craft beer in Thailand is still in a grey area. Countries like Japan, Taiwan and even Vietnam have made quite an economy out of it. We know it's illegal, but as long as there are people drinking it, we'll make it." For updates on local craft beer community, check out "Craft Brewery is Not a Crime" on Facebook.